Pre-Jym is one of the great pre workout supplements that ‘started it all’ for big formulas. 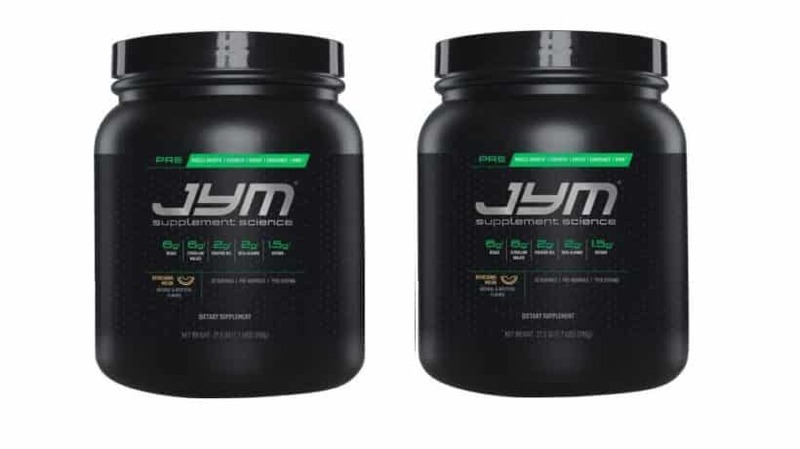 Here you can read our full Pre-Jym review. Pre-Jym is nothing like common day pre-workouts, there is no denying that. Pre-Jym, and all Jym Supplement Science products are formulated by the well-known and respected fitness influencer and specialist Dr. Jim Stoppani. When a guy has as much popularity and credibility as Jim, you expect great products to be released. Well Pre-Jym is no exception to the rule. It’s a solid PWO that beats 90% of the competition right from the get-go. We took our time evaluating and preparing our Pre-Jym review and must note that this is a really enjoyable pre workout. In fact, we’ve reviewed Pre-Jym several times since its release in 2014 (most recent 11/10/2018) to validate its standing and make sure the formula hasn’t changed. Today, Pre-Jym is still a smart-buy for the advanced athlete who demands high quality products and still holds a respectable position on our top 10 pre workouts. 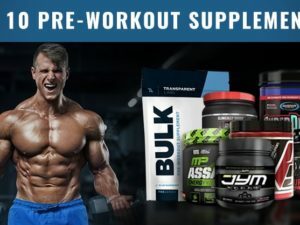 So, what makes Pre-Jym Special? It’s clear to us that Jim Stoppani made Pre-Jym because it’s the pre workout supplement he always wanted. If you’ve ever wondered why we don’t see more pre workouts like Pre-Jym, BULK, or Koala Freak… It all comes down to that devil called greed. Supplement companies want to make money, and are willing to trade your satisfaction for their margins. Jim Stoppani broke this mold with Thor’s hammer when he released Pre-Jym. The first large-formula pre workout that RELIED on a great user experience to turn a profit and not EXCESSIVE advertising. They give you a good boost of energy, but that is where the story starts and ends. Pre-Jym in comparison, provides significantly more energy than these pre workouts plus an ‘energetic body sensation’ and a ‘strong pump’. Basically, you are going to be wired for the gym and get really good blood flow while you lift. While other small-dose pre workouts only rev up your mind – Pre-Jym is going to power both your mind and your muscles. With Pre-Jym: we felt better, had more energy, lifted stronger, and lasted longer. Since this is such a potent pre workout, we recommend that rookies start with ½ a serving. For those of you that are used to 200+ mg caffeine, dive in with a full scoop and enjoy the ride, baby! Unlike the fad of ‘condensed pre workouts’, a serving of Pre-JYM is a pretty large scoop. Why? Pre-Jym strives to provide clinically relevant dosages of its ingredients (which can get pretty big). Creatine HCl – The hydrochloride version of creatine is one of the fastest absorbing and most effective creatines available. Taking Pre-JYM 30 minutes before your workout gives creatine HCl plenty of time to get into position and supply strength enhancing power. Carnosyn Beta-Alanine – This is the most superior form of beta-alanine available. Beta-alanine has several functions in muscle tissue, ranging from buffering against acidic lactic acid build-up, to fueling gluconeogenesis. There are countless clinical studies linking the consumption of beta-alanine before training to enhanced muscle growth and power. However, to get the full benefits, you will need to supplement with an additional 1.2 to 3 grams of beta-alanine daily to hit clinical dosages (timing doesn’t matter). 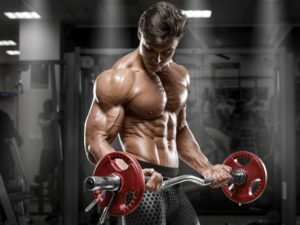 Betaine – Betaine is a bit of a mystery as to ‘how’ it works, though the general consensus is that Betaine increases pump and triggers enhanced muscle growth. Taurine – This is an essential muscle energy component often left out by other pre workouts. N-Acetyl L-Cysteine – This is a highly stable form of the amino acid l-cysteine, one of the few sulfur containing amino acids. Also referred to as NAC, n-acetyl l-cysteine plays a key role in muscle repair and studies show that supplementation may reduce the onset of muscle fatigue (1). Alpha-Glyceryl Phosphoryl Choline – Often referred to as GPC, Alpha-Glyceryl Phosphoryl Choline is an effective growth hormone promoter as well as a powerful, natural focus supplement (2). We were very excited to see GPC in Pre-JYM by fact that many professional bodybuilders supplement with GPC on the side. Jim chooses Alphasize GPC as their source (3). L-citrulline malate – This is another heavy hitter much like beta-alanine. L-citrulline malate promotes nitric oxide production while also boosting energy and mental clarity. In addition, the cascade of events set into motion by l-citrulline malate enhances cellular metabolism as well as removing harsh byproducts. Beta vulgaris L. – This is an extract taken from beets which has been found to improve pump in the gym. L-Leucine – L-leucine is the most anabolic amino acid. Not only is Leucine a key component of muscle tissue, but high levels of l-leucine actually ‘triggers’ genetic expression resulting in muscle growth. This is a key amino acid that you cannot go without! L-Isoleucine and L-Valine – Two more critical amino acids required in muscle synthesis. The supplementation of these amino acids before workout has been proven to support greater muscle growth and repair in comparison to those not supplementing. L-Tyrosine and Huperzine A – A powerful mix of anti-oxidants and nutrients that enhance brain activity producing greater clarity, focus, and drive. Caffeine Anhydrous – The standard energy ingredient in pre workout supplements. Caffeine has been proven to reduce the feeling of effort required to lift weights and complete strenuous activity. BioPerine – Increases the absorption of all noted ingredients. 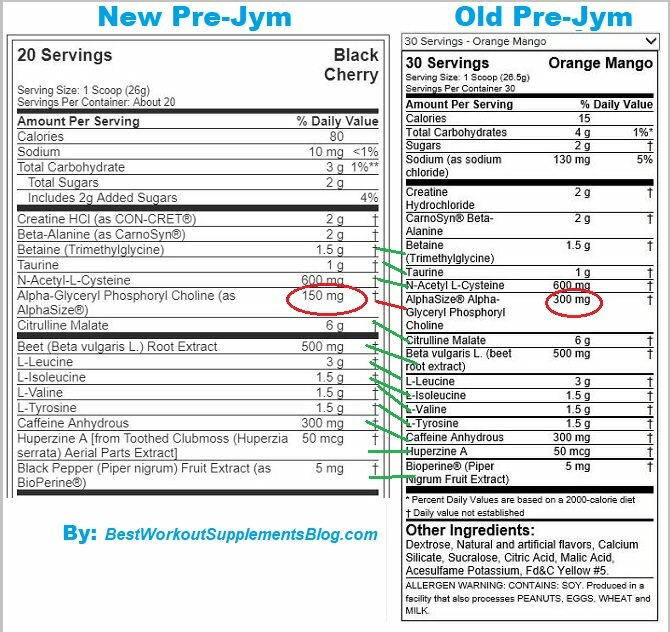 As you can see in the label comparison, the newer Pre-Jym now contains 150 mg less Alphasize. This isn’t likely to make a huge difference, though it’s saving them some cash. We’re going to be keeping our eye out for further ingredient cuts, especially since the beta-alanine dosage is already only at 2 grams (clinical dose being 3.2 to 5 grams). Pre-Jym is going to continue to be a high ranking pre workout supplement for years to come. Pre-Jym has a few years under its belt, and there is certainly more to come. All across the fitness industry large brands keep making the same large mistakes… Under-dosing! Lucky Jim’s JYM Supplement Science is doing things differently, and making an impact. So much so that JYM has started a mini-revolution in the supplement industry. While back in 2014 Pre-Jym was the only clinical-dosed based pre workout, now-days, it has some very stiff competition! At the end of the day, they are going to have to. Because websites like us, BWSB, are doing everything in our power to educate consumers like you. Because you’re not just a consumer… You’re a human being, lifting next to us in the gym every day. Let’s lift our best together. The information on BWSB has not been evaluated by the Food & Drug Administration or any other medical body. We do not attempt to diagnose, treat, cure or prevent any illness or disease. This content is shared for educational purposes only. You must consult your doctor before acting on any presented information contained in this website, especially if you are pregnant, nursing, taking medication, or have a medical condition. Referred to as Admin Van, this Author and Administrator is the primary go-to guy for everything technical on bestworkoutsupplementsblog.com. When Admin Van is not updating content or interviewing bodybuilders, you can catch him in the gym, traveling, and living the life. To contact Admin Van regarding content submission and affiliation, email is the preferred method. On our articles, rankings and reviews we utilize real feedback from athletes like you. We also strive to base ingredient explanations off of real clinical studies and valid research. All content is heavily critiqued and peer reviewed by professionals and athletes alike. If you’d like to learn more about us, please visit our About Us page. We write truthfully, but request that you follow your own due-diligence when making supplement decisions based upon your current status. Your health and wellbeing matter to us, but only your licensed doctor can make informed recommendations for your diet. Products on this review site contain affiliate links, meaning, BWSB earns a commission if you choose to buy that product. This does not bias our rankings, as all supplement storefronts offer such programs. We limit these links to as few as necessary.